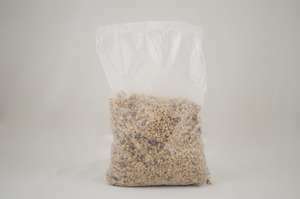 A whole grain oat granola cereal made with a special blend raisins and dried cranberries in cost-effective, 50 oz bulk packaging for less waste and great labor savings. 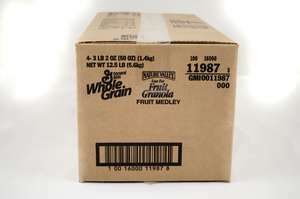 For crediting in USDA Child Nutrition Programs: whole grain-rich criteria. Nature Valley™ is the leading brand in foodservice granola. One back-of-house staple with endless possibilities. Easy to display and serve all day as a low-cost meal option. Granola is a versatile ingredient that can be used throughout the day from breakfast to dessert.